It’s been a while, friends. Last time we talked the summer hadn’t yet reared its ugly head and commencement was in the air. Now, for many, the leaves are starting to turn, textbooks are being bought, and syllabuses are being finalized. Yes, it’s that time again: fall semester! A new school year. And with it, a brand new season of The New Professor and yet another iteration of its format and purpose. Today I want to talk a little bit about that—what to expect in this season—and just give you a brief recap of summer. It occurs to me this may be your first episode, especially if you’re a new student or have just discovered the pod. So here’s a little bit about me and this thing I do. Like you heard in that little jingle, I’m Ryan Straight and I’m an assistant professor at the University of Arizona. I’m in the Educational Technology program but my classes are co-listed with programs like Informatics and offered in the Cyber Operations program. I also teach an Honors college spring seminar to freshmen on Cyborgs and Transhumanism, which is oodles of fun. Aside from that seminar, I teach entirely online, so much of what you’ll hear in the pod has to do with online learning, both from my point of view as the instructor and from the student point of view. Speaking of the pod, I began this little project in the summer of 2017 because… well, I like podcasts and I wanted to try my hand at making one. Initially, when I conceptualized it, it was simply meant to serve as a vehicle for my own thoughts and ideas on my profession and trade. 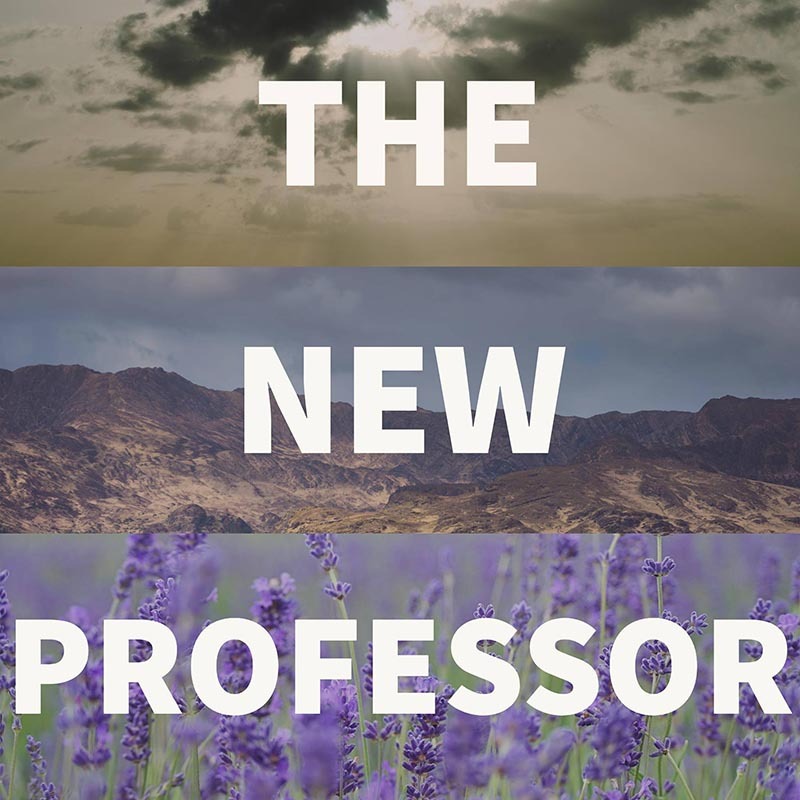 I sometimes don’t feel like a quote-unquote “traditional” professor (though I’m often not even sure what that means), and that’s what I wanted to explore: how I fit in, how I understood the landscape, what it meant for me to be in that system. I had fun doing that (and still do, sometimes), though in fall of 2017 I was offered the position of Faculty Fellow for the UA branch campus network, a position that, in addition to my regular duties as faculty, tasked me with helping to forge connections with students in ways that helped shrink their university experience at a very large (and, in the branch campus network, very distant) institution. While I was ecstatic to be chosen for the inaugural Fellow position (in which I am still serving, happily! ), it occurred to me that the extra time constraints placed on me because of this would have to take priority over the podcast, which was, after all, simply a passion project. It was just for fun and, fun though it is, other things needed taken care of. So, in fall of 2017, I put the pod on hiatus while I worked out my new Fellow responsibilities. After taking a semester to find my footing, I realized that I had a great vehicle with which to reach students that are geographically dispersed but that I currently wasn’t using: the podcast! In spring semester of 2018 (that’s this past January), I resurrected the podcast with a new goal in mind: to speak directly to students. Or, at least, no longer speak directly to myself, I suppose. The pod took a turn in the topics covered, from subjects like my distaste for eBook readers and how to deal with backstabbing colleagues to topics like how amazing libraries are and what tremendous benefits a daily writing habit can have. The feedback I’ve received from students has been overwhelmingly positive (and I hope that continues!). When I took a break from the pod in fall of 2017, I had quit thinking of it as a podcast and begun to see it as a kind of audio essay project: I was simply talking about things I found interesting and had no real interest interviewing people or reporting news or anything else standard podcasts do. I even script my entire podcast beforehand and edit it pretty tightly, something podcasts also tend to shy away from, opting for a more conversational and spontaneous tone. As I moved into what I’m now calling “season two” (after I began doing the pod again in January of this year), I felt as though it moved back into podcast territory. And that brings us to this year’s iteration: season 3. Word of the pod has been spreading and my ideas of what to do and how to do it have also been evolving a bit. This year, I’d like to schedule some interviews with different folks throughout the university (and beyond, who knows? ), be they other faculty, staff, or students. Obviously, these episodes wouldn’t be as scripted as my solo shows like this one, but I’m hoping that will lend a bit of charm to them. We’re lucky enough at UA to have a department called the Office of Digital Learning, or ODL for short. They have a recording studio that’s available for just this kind of thing, which I hope to also avail myself of throughout the year. As it stands, I take my laptop and mic into the closet and record there, so it’d be nice to stretch out. On a related podcasting note, I’ll be presenting with some other UA folks (and a couple folks from outside the U) at the OLC Accelerate conference this November on doing podcasts just like this one, so expect a LIVE version of The New Professor some time around then! (That should be an interesting one, as long as I can figure out the logistics.) Some of the wonderful people I’m presenting with also run podcasts, so I’m hoping to do some crossover work with them at some point. Should be entertaining. So that’s what to expect this year! Season 3 should be chock full of new things, from new people to new or updated takes on interesting topics. And if there’s anything you’d like to hear my take on or anyone you’d like to hear me talk to (I’d say “interview,” but I’m not sure I have the chops to call it that quite yet; Marc Maron, I am not), don’t hesitate to tweet at me or email the pod. Contact info is available virtually everywhere you found to listen to this. On a personal note, I hope everyone had a summer as great as mine… because I got married! We had a small ceremony at our house attended by friends and family and the three dogs did not end up ruining anyone’s clothes, which was a relief. Thank you to everyone who sent congratulations. It means a lot to us. And that’s it for the first episode of season 3! Expect a new episode very two weeks during the academic calendar with a possible gap around the holidays but picking back up in spring semester. I hope your fall semester preparations go smoothly! And, don’t forget, there’s an episode on exactly that in the archives. I’ll see some of you at orientation tonight and tomorrow. Otherwise, see you next time!